General dentistry is the first step in preventative care and good oral health. A general dentist can handle a large variety of operations and tests, and can also refer you to dental specialists, such as orthodontists and oral surgeons for more advanced dental care. 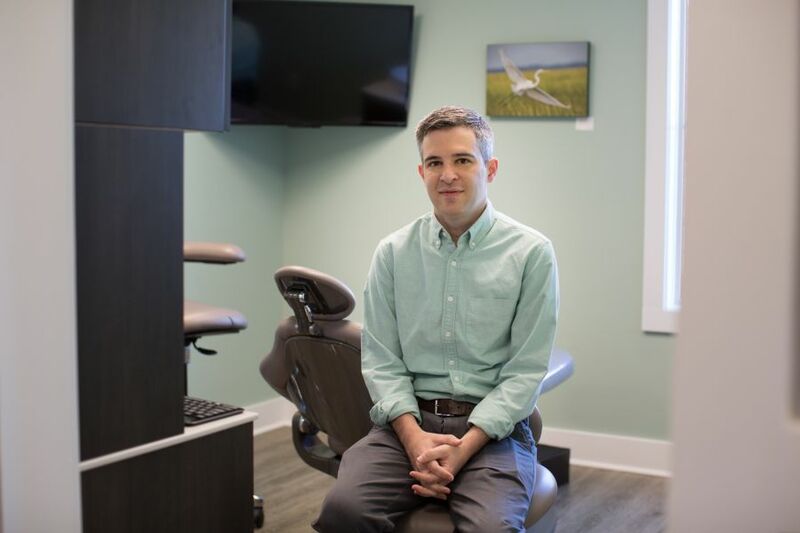 With advanced technology, an experienced staff of oral hygienists, and personalized patient care, Dr. Joel Darrah and his team at Buckwalter Dental Care is the best choice in Bluffton for your general dentistry needs. Read on to learn more about what a general dentist can do to keep you healthy! Periodontal disease is one of the most common oral issues in the United States. The CDC estimates that gum disease affects over half of all Americans. And in adults aged 65+, this estimate rises to nearly 70%. Your 6-month cleanings and exams are the best way to catch and monitor gum disease. But if you suspect an issue, make an appointment with Buckwalter Dental Care right away. From minor gingivitis to aggressive periodontitis, Dr. Darrah and team can set you up with a treatment plan to restore your gums to health. Whether they’re impacted or just causing you pain and irritation, wisdom teeth can be a bothersome issue to deal with. Buckwalter Dental Care offers professional and fast extraction services with advanced, minimally-invasive extraction techniques! If you’re afraid of the visiting the dentist, you’re not alone. Up to 20% of all Americans are afflicted by dental anxiety. At Buckwalter Dental Care, we offer a sedation option for patients upon request. We’ll also help you through procedures with minimal invasiveness. So don’t fear the dentist! Buckwalter Dental Care can help you overcome your dental anxiety, and get you the oral care you need. Dr. Darrah, alongside a team of expert dental assistants, specializes in basic tooth reconstruction, including dental crowns and fillings. Whether you need a dental crown to repair a chipped or damaged tooth, or a filling because of tooth decay, the team at Buckwalter Dental Care can help! There are, perhaps, no two words that are more dreaded after a visit to the dentist. But there’s nothing to fear at Buckwalter Dental Care. Modern endodontic treatments are minimally invasive, and similar to routine fillings. In just a couple visits, Dr. Darrah can treat the affected tooth and get you back on track with your oral health. For Your Next General Dentistry appointment! Whether you need an emergency dentist in Bluffton, or you just need a new Bluffton dentist for you and your children, Dr. Darrah is a great choice. He is a big believer in the power of preventative dental care, and regular checkups. With our informative, patient-focused approach to dentistry, you will have everything you need to take control of your oral health. Contact Buckwalter Dental Care at (843) 815-3232, or come to our office at 31 Innovation Drive Unit 2, Bluffton, SC 29910.